We have a common goal! 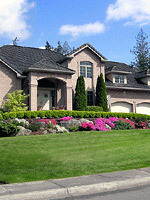 Helping homebuyers make an informed decision about the choice of home financing that is best for them. This Mortgage Center is your one stop resource for home loans and financing. Whether you are looking for a loan, want to get prequalified, want to understand the loan process, have mortgage questions or want to request a free consultation with a loan expert, request a credit report or crunch numbers with your mortgage calculator, I am here to help. I will help you find the best rates and terms to finance or refinance your home. Leave the analysis to the experts and enjoy reduced rates and monthly payments. My goal is to get the right mortgage loan for you. Get trusted advice on your credit history, how much home you can afford, pre-approval, refinancing and more. Get a long-term financial advisor to guide you on tapping or building your home equity. I will guide you at each step from pre-qualification, to comparing loans, to improving your credit score, to applying for a loan and ensure a timely closing. Employ the mortgage experts who understand your unique situation and financing needs. Allow me to put together a loan package for you to help you breeze through the paperwork and documentation. You can count on my personalized service and specialized knowledge. How Much Home Can You Buy? Find out how much you can afford in a mortgage payment. Do you have questions about financing your home? Do you need advice on getting the best loan? Determine your monthly payment and amortization schedule. Find the APR on your mortgage. Should you refinance your mortgage? Use the calculator to determine when you will breakeven!